Calling all brides with an affinity for romance: these gowns are for you! Lea-Ann Belter is known for her timeless, thoughtful, and effortlessly romantic designs and her latest collection, Summer in Provence, is no exception! Using extraordinary lace and fine silks, the Toronto-based bridal designer crafted a stunning collection reminiscent of the South of France. Inspired by her own holiday in Provence, this collection of gowns and separates radiates with visions of lavender-scented sunny summer days in France. Each Lea-Ann Belter gown is individually crafted and completely customizable, complementing every body type and personality. Be sure to browse all of Lea-Ann Belter’s collections for more romantic bridal looks! *This post is sponsored by Lea-Ann Belter. 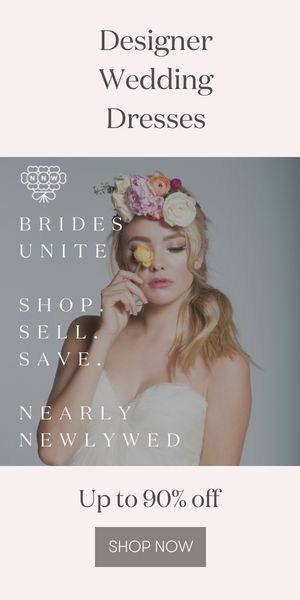 Thanks for supporting the brands that support Junebug Weddings!